Blue Ribbon Foundation Ambassadors are leading people in our community who lend their voice and support to police remembrance in Victoria. Policing is a challenging and often dangerous occupation so it’s important that our police members and those who work in non-operational support roles know that their service is appreciated by a grateful community. Ambassadors are engaged to connect other Victorians, especially those in their networks, through social media, websites and other forums. They may also be active participants during National Police Remembrance Day and Blue Ribbon Day by attending and speaking at memorial service, school assemblies and civic functions. 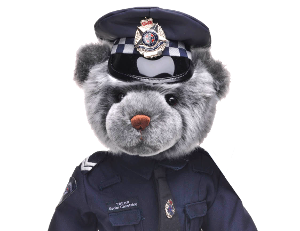 To become a Victoria Police Blue Ribbon Foundation Ambassador, please contact Jenny Davis, Community Engagement Manager on (03) 9555 8000 (03) 9555 8000 .